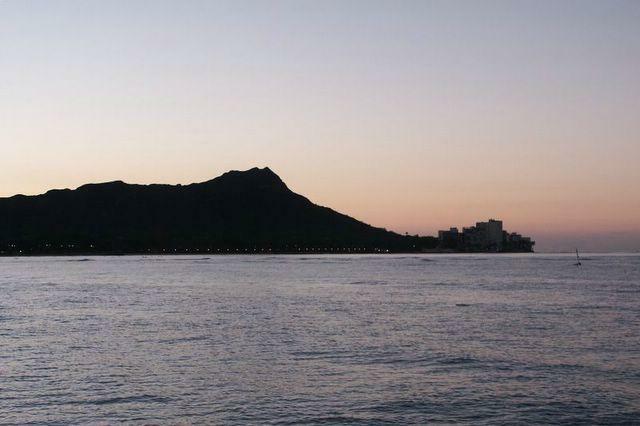 Diamond Head in the morning -- A look at Diamond Head at sunrise. The uneven part on the right are silhouetted hotels. The picture is taken from the pier in front of the military hotel.